Home / Blog / Will Solar Industry Weather Trump Administration’s Import Tariff? Last Thursday, CABA hosted its Third Annual Massachusetts State of Solar. Our solar panel for the evening consisted of State Senator Jamie Eldridge, President of Isaacson Political Consulting Arline Isaacson, and Greentech Media Analyst Austin Perea and was moderated by WGBH News Reporter Craig LeMoult. While the evening’s discussions covered a range of local issues from net metering caps, last session’s solar legislation and the subsequent creation of SMART, and the Eversource rate case, many in attendance came with questions of the Trump Administration’s solar tariff. The official announcement came days before our State of Solar and opinions in the room varied on its potential impacts on the industry as a whole. The evening’s discussions lead us to further investigate the tariff and it’s possible impacts on residential solar in Massachusetts. Last week, the Trump Administration announced a tariff of 30% on imported solar equipment with a 5% tariff decrease annually. Though the decision came as no surprise, it was quickly met with strong rebukes from clean energy advocates on both sides of the aisle. The federal government cites the cheap costs of imported solar cells as justification for the tariff, claiming that the price increase will renew domestic solar manufacturer competitiveness and save jobs in solar manufacturing. Currently, 80% of solar cells used in the United States are imported. Contrary to the sentiment of the tariff, benefits reaped by United States solar manufacturing workers will likely be minimal. It takes 18 to 24 months for a solar panel production plant to get up and running, and solar manufacturing is shifting towards automation, meaning even if new plants are made, few human jobs will be created. And imported panels will only continue to outcompete American panels. Low wages in solar exporting countries ensure foreign solar cells will continue to beat domestic prices. Furthermore, the prices of imported panels have decreased dramatically in recent years and are forecasted to keep decreasing over the years to come. The federal tariff will decrease by 5% each year, incrementally diminishing the already low competitive advantage the tariff will provide to domestic producers. Even with the market skewed in their favor, domestic solar manufacturers still won’t be able to compete with cheaper imports. In other words, if American solar manufacturing was doomed before, it’s not much better off now. The biggest impact of the new solar tariff will be the harm it renders to the United States solar industry as a whole. According to a Department of Energy (DOE) report, over 370,000 people are employed in solar, more than double the number of jobs in the coal industry. Solar was the top source of new power in 2016, and jobs in solar are growing 17 times faster than jobs elsewhere in the United States economy. As a result of the new tariff, the Solar Energy Industry Association (SEIA) forecasts that the industry will lose 23,000 jobs this year alone, threatening to slow growth in a fast-growing (and environmentally important) sector. That loss will no doubt dwarf the number of solar manufacturing jobs saved by the tariff. For every solar manufacturing job saved, up to 64 other solar jobs will be lost as projects slow or shut down. Here in Massachusetts, a slowed solar industry is unacceptable. It is true that solar installation prices in Massachusetts have fallen 55% in the last five years. Coupled with RPS-mandated increases in the state’s renewable energy production, the Commonwealth has been able to create the second most solar jobs of any state in the country. But in light of federal disregard for the national solar industry, hostility towards climate action, and economically irrational subsidization of fossil fuels under the guise of “American Energy Dominance,” we must do even more. Based on our Renewable Portfolio Standard (RPS), mandated annual increases will set us on track to achieve 45% renewables in 2050. Some experts argue this won’t be enough to achieve the GWSA’s mandate of an 80% reduction in GHG emissions by that same year. Doubling down on clean energy investment would solve this. Over $78 million in Massachusetts solar projects are currently stalled because of the unrevised cap on net metering reimbursements. If greenlighted, they would add an additional 51.2 MW of capacity to the state’s energy grid. On top of all this solar strife, the Department of Public Utilities recently approved Eversource’s residential solar net metering charge, yet another unfair burden on solar customers that likely drive up the cost by about $4,400 to $9,400 over the life of a solar installation. This will doubtlessly slow the solar industry as well. Though the Baker Administration is optimistic regarding the upcoming SMART program’s solar incentives, industry experts are unsure whether SMART will be able to catalyze sustained industry growth. In addition to inhibiting much needed climate action, solar stagnation or decline in Massachusetts will put the livelihoods of our state’s 19,000 solar workers and their families in jeopardy. To negate these compounding hurdles that threaten solar development in the Commonwealth, policymakers must revise the RPS to be more ambitious and effective and clear unnecessary clean energy development gridlock by lifting the cap on net metering reimbursements more than 1-2% each year. SEIA estimates raising the cap by 5% would pave the way for 1,000 MW of solar by 2022. The DPU should also reconsider its decision to allow unjustified, harmful residential net metering charges for solar customers. In addition to these pressing action items, the Baker Administration should acknowledge and fight against the economic pitfalls of Trump’s solar tariff, whether that be by introducing clean energy legislation or rallying the state around a low-carbon future. Though opposition to the tariff is widespread within the solar community, some solar providers believe that increased prices will have a minimal impact on the industry’s growth. Massachusetts-based solar installer EnergySage (a CABA member business) is one such optimist. According to its forecast, customers will only feel a price increase of $0.10 to $0.12 per watt, equivalent to a 3-4% increase in the cost of solar panel installation. So, while the federal solar tariff will be an obstacle for solar installers in the US, there is some hope yet for continued investment and growth in residential solar. If you missed our event last week, WGBH’s Forum Network recorded the panel discussion. You can find our event on their website alongside other Boston-based lectures and forums. 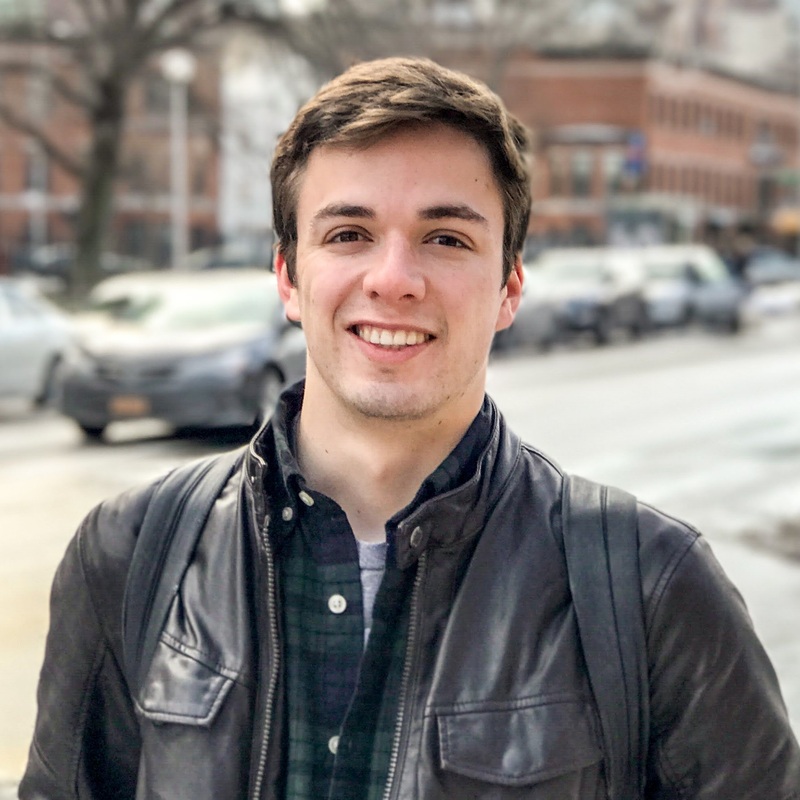 Ryan is a fourth-year undergraduate student at Northeastern University studying International Affairs and Philosophy. During his college career, Ryan has held positions at the Boston Bar Association and the Massachusetts Attorney General’s Office. On campus, Ryan is the President and Co-Founder of EcoScholars Boston, which provides climate change education to local high school and middle school students. Last summer, Ryan’s interest in sustainability led him to Singapore, where he conducted university-sponsored research on sustainable governance. Prior academic experiences have also taken Ryan to Canada, Costa Rica, and Ireland. He also regularly represents Northeastern at Model United Nations, Arab League, and NATO competitions. Ryan’s interests include climate-displaced persons, sustainable development, and international environmental policy. During his free time, Ryan enjoys photographing Boston, playing soccer, and eating somewhat spicy food.